Expected delivery time 10 to 15 business days. Credit card orders typically ship sooner. Universal Coin & Bullion is dedicated to providing clients with outstanding collecting and investment strategies for the rare coin market. 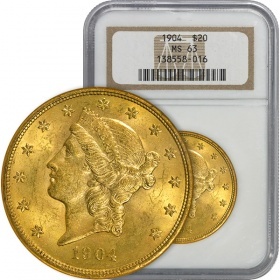 Universal Coin & Bullion is a rare coin and gold leader with clients nationwide. Read more!
" 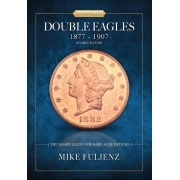 The fact that since 1986 Dr. Mike Fuljenz has won so many major awards in so many diverse categories, including the top NLG award 'The Clemy,' underscores how important his peers in the rare coin and precious metals markets view Mike's excellent analysis and reporting." " Thank you so much for taking such good care of me. I have already given your name to my accountant for precious metals purchase in the future." " The first of the year brought new changes in state and local laws dealing with precious metal buyers. The Texas legislative committee heard from the nationally-known coin dealer Dr. Mike Fuljenz whose expertise was invaluable during the drafting of the new legislation." " The success of the Eddie Eagle GunSafe® Program can be attributed to people like Dr. Mike Fuljenz. We thank him for his continued support in spreading Eddie’s life-saving message to more than 25 million children." 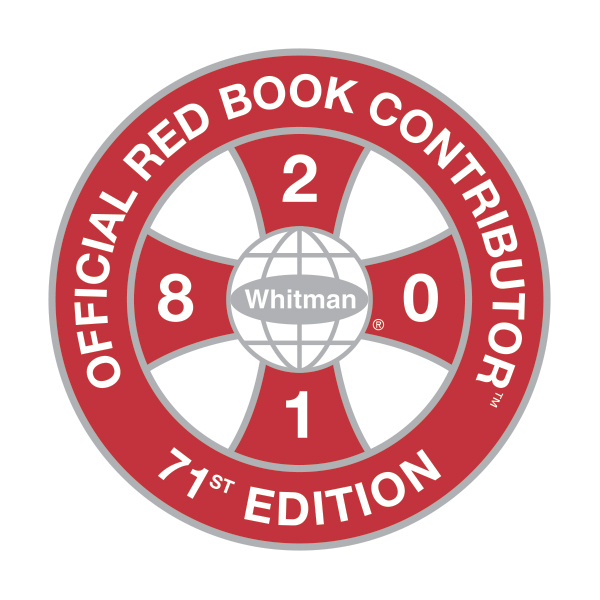 (1) All statements, opinions, pricing, and ideas herein are believed to be reliable, truthful and accurate to the best of Universal Coin & Bullion's knowledge at this time. They are not guaranteed in any way by anybody and are subject to change over time. Universal Coin & Bullion disclaims and is not liable for any claims or losses, which may be incurred by third parties while relying on information published herein. Individuals should not look at this publication as giving finance or investment advice or information for their individual suitability. (2) All readers of Investors Market Advisory are advised to independently verify all representations made herein or by its representatives for your individual suitability before making your investment or collecting decisions. (3) Coin collecting and investing are only meant for those who are personally and financially suited. Universal Coin & Bullion does not recommend financing any purchase or spending more than you can afford to lose if your investment goes down in value. Universal Coin & Bullion does not recommend customers pay a penalty for early withdrawal from any investment to purchase coins. Numismatic purchases are affected, in part, by economic and market conditions. 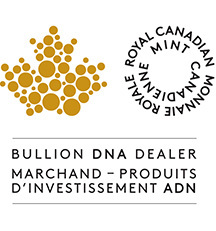 While Universal Coin & Bullion's competitive pricing, margins and market strategy approach the market with specific attention to the areas we recommend, we impress upon the customer to perform his or her own due diligence in deciding on the amount and type of their numismatic position and independently verify all representations. (4) As with all investments, the value of the coins could go up or down. Universal Coin & Bullion and its representatives do not offer any implied or assumed promises. 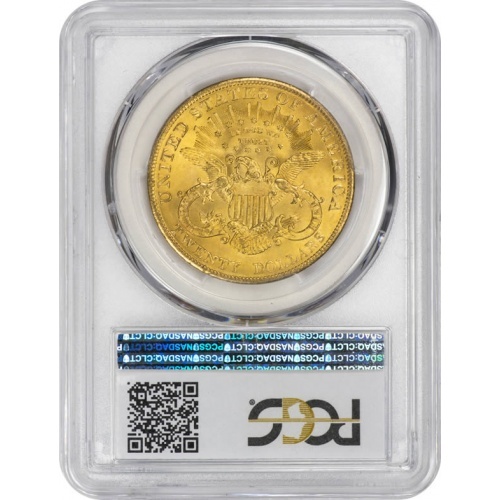 (5) Universal Coin & Bullion considers coin collecting and investment to be a mid to long-term investment. As with all investments, past performance is not a guarantee of future returns. Further, you understand the coin market is speculative and unregulated and you could lose money if you have to sell these coins in the short run, say a year or two. Universal Coin & Bullion recommends a hold time of five to ten years or more. 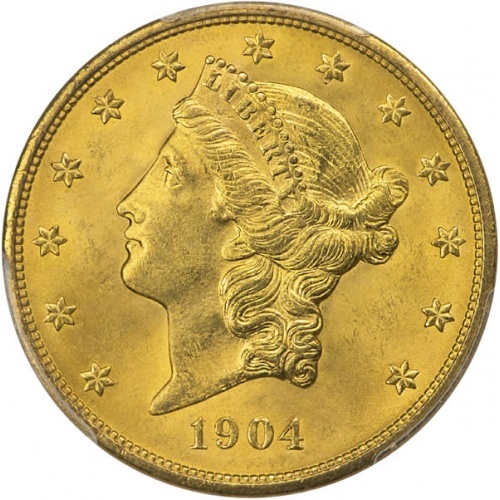 While offering no guarantee of growth in any time frame, Universal Coin & Bullion wants the customer to understand that holding numismatic coins shorter than the recommended hold time could result in losses, while longer holding periods, such as 5-10 years or more increase the chances a coin's value can rise. Universal Coin & Bullion strongly encourages you to view informational videos at UniversalCoin.com including "Choosing the Right Dealer and Understanding Coin Pricing." (7) Other returns of numismatic items outside the thirty (30) day return privilege may be subject to a restocking fee of up to 20% or repurchase at Universal Coin & Bullion's buy price at the time of return. (10) Arbitration: Universal Coin & Bullion strives to resolve customer complaint issues directly with customers in an expeditious manner. In the event an amicable resolution cannot be reached, you and Universal Coin & Bullion agree to accept binding arbitration. 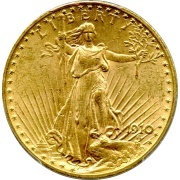 Any controversy or claim arising out of or relating to transactions between you and Universal Coin & Bullion shall be resolved by binding arbitration pursuant to the Federal Arbitration Act and administered by the American Arbitration Association in accordance with its Commercial Arbitration Rules in Jefferson County, Texas and judgment on the award rendered by the Arbitrator may be entered in any court having jurisdiction thereof. It is understood you and Universal Coin & Bullion waive any right to a jury trial. YOU AND UNIVERSAL COIN & BULLION agree THAT ALL CLAIMS SHALL be brought in the party’s individual capacity and not as a class member in any purported class or representative proceeding. (11) In order to stay abreast of changing market conditions, YOU AUTHORIZE Universal Coin & Bullion TO contact you from time to time by phone or TEXT regarding items of interest. (12) All phone conversations between you and Universal Coin & Bullion are recorded. (13) All transactions and communication between Universal Coin & Bullion, its employees, and you are only conducted through Universal Coin & Bullion business address and business telephone numbers. (14) You understand it is your responsibility to contact the Universal Coin & Bullion 100% Service Standard Hotline between 8:30 A.M. & 5:00 P.M. CST Monday through Friday and speak with a manager regarding any issues or complaints that you may have. The toll free 100% Service Standard Hotline is 877-899-8380. (18) You understand and acknowledge all transactions between you and Universal Coin & Bullion are processed in Jefferson County, Texas. (19) Reproduction or quotation of this newsletter is prohibited without written permission of Universal Coin & Bullion. Investors Market Advisory is published by Universal Coin & Bullion®, 7410 Phelan Blvd., Beaumont, Texas 77706. 1. By electing to utilize the services provided by Universal Coin & Bullion, Ltd. (“UCB”) including making purchases from UCB or making sales to or trades with UCB, you are agreeing to the following terms. These terms apply to all orders, all purchases, sales and trades made by telephone, through the website or otherwise. 2. Before you may place an order to purchase, sell or trade coins with UCB through an online transaction, you must read and accept all of the terms included in this Agreement. If you have placed an order to purchase, sell or trade coins with UCB via telephone and the terms of this Agreement are unacceptable to you, please utilize the return privilege referenced in Paragraph 4. Otherwise, you acknowledge acceptance of all terms of this Agreement. 3. You represent and warrant to UCB that you have sufficient experience and knowledge to make informed decisions to purchase from and/or sell and/or trade coins to UCB. You acknowledge you are making your own decision to purchase coins from UCB or sell or trade coins to UCB. You further acknowledge UCB is not making any recommendations with respect to your online transactions. Additionally, you acknowledge all statements, opinions, and pricing relayed to you by UCB representatives are believed to be reliable, truthful and accurate, but they are not guaranteed in any way and are subject to change without notice. You acknowledge that UCB advises, and you have had the opportunity to perform your own due diligence in deciding the amount and type of your coin transaction and numismatic position. You understand and acknowledge that past performance is not a guarantee of future returns. You acknowledge that UCB advises, and you have had the opportunity to independently verify all representations made via the UCB website, via email, via UCB publications or from UCB representatives. You acknowledge UCB is not liable for any claims or losses which might be incurred while relying on information published by UCB. 4. You acknowledge that you are subject to a variety of risks which are beyond the control of UCB, and you expressly acknowledge UCB is not liable or responsible for those risks, which include, but are not limited to price volatility. You understand and acknowledge as with all investments, the value of coins could go up or down. You understand and acknowledge the coin market is speculative and unregulated and you could lose money if you sell your coins in the short term. You understand and acknowledge UCB considers coin collecting and investment to be a mid to long term investment. You understand and acknowledge coin values are affected in part by economic and market conditions and you are willing to assume the risk associated with your coin transactions. You understand and acknowledge UCB does not offer any express, assumed or implied promises regarding future performance, profit or growth of your coin purchase collection or investment. You understand and acknowledge UCB recommends a hold time for coin purchases of five to ten years or more. You acknowledge UCB does not guarantee a profit or growth in any time frame. You acknowledge and understand third party grading and authentication of numismatics does not eliminate all risks associated with the grading of coins. You understand if you are not 100% satisfied with your purchase, you may return it in its original packaging within thirty (30) days of receipt for a full refund except on special orders or bullion orders. You understand returns of numismatic items outside of the thirty (30) day return privilege may be subject to a restocking fee of up to 20% or repurchase at UCB’s buy price at the time of return. You understand and accept UCB’s policy that payments for refunds on coins received and confirmed for liquidation will be processed in 10-15 business days unless otherwise specified by management in writing. 6. Although UCB takes great care to provide accurate product and pricing information, pricing or typographical errors may occur. In the event an item is listed with incorrect information or an incorrect price due to an error in information or pricing, UCB reserves the right at their sole discretion to refuse or cancel any order placed for that item. If an item is incorrectly priced, UCB will contact you for instructions or cancel your order and notify you of such cancellation. Prices and availability of products are subject to change without notice. 8. 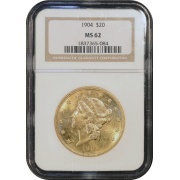 You acknowledge that you are personally and financially suited for coin collecting and investing. You understand and acknowledge UCB does not recommend financing any coin purchase or spending more than you can afford to lose if your investment declines in value. You expressly acknowledge any decision by you to finance coin purchases or spend more than you can afford to lose is solely your decision despite UCB recommendations to the contrary. You acknowledge and agree that no warranties or guarantees have been made to you regarding the coins purchased from UCB. 9. You acknowledge and understand UCB does not recommend you pay a penalty for early withdrawal from any investment to purchase coins. You expressly acknowledge any decision by you to withdraw money from an investment and pay an early withdrawal penalty is solely your decision despite UCB recommendations to the contrary. 10. You acknowledge and understand UCB has the right to refuse an order when the confirmed price is incorrect, due to computer related problems, pricing error, incorrect item descriptions or sudden movements in the precious metal market. Furthermore, UCB reserves the right to refuse or cancel any order deemed questionable, suspicious, or of significant risk to UCB regardless of payment method and price confirmation. 11. You accept and acknowledge UCB’s Terms and Conditions for customers and website visitors. 12. THE FORMATION OF THIS AGREEMENT CONSTITUTES THE MAKING OF THIS CONTRACT IN JEFFERSON COUNTY, TEXAS. REGARDLESS OF THE MANNER, TIMING OR LOCATION OF DELIVERY OR RECEIPT OF ACCEPTANCE OF THIS AGREEMENT, THIS AGREEMENT SHALL BE GOVERNED BY THE LAWS OF THE STATE OF TEXAS. SUBJECT TO THE ARBITRATION AGREEMENT IN PARAGRAPH 13, ANY LEGAL ACTION OR PROCEEDING BETWEEN YOU AND UCB OR WITH RESPECT TO THIS AGREEMENT OR ANY TRANSACTION HEREUNDER SHALL BE BROUGHT EXCLUSIVELY IN THE COURTS OF THE STATE OF TEXAS LOCATED IN JEFFERSON COUNTY OR OF THE UNITED STATES OF AMERICA FOR THE EASTERN DISTRICT OF TEXAS. BY ACCEPTANCE OF THIS AGREEMENT, YOU AND UCB HEREBY ACCEPT, GENERALLY AND UNCONDITIONALLY, THE JURISDICTION OF THESE COURTS. YOU AND UCB WAIVE ANY OBJECTION, INCLUDING ANY OBJECTION TO THE VENUE OR BASED ON THE GROUNDS OF FORUM NON CONVENIENS, THAT YOU OR UCB MAY NOW OR HEREAFTER HAVE TO ANY SUCH ACTION OR PROCEEDING IN SUCH JURISDICTIONS. 13. YOU AND UCB AGREE TO ARBITRATE IN A FINAL BINDING MANNER PURSUANT TO THE FEDERAL ARBITRATION ACT AND ADMINISTERED BY THE AMERICAN ARBITRATION ASSOCIATION IN ACCORDANCE WITH ITS COMMERCIAL ARBITRATION RULES IN JEFFERSON COUNTY, TEXAS ALL CONTROVERSIES BETWEEN YOU AND UCB, ITS OWNERS, REPRESENTATIVES OR AGENTS THAT CANNOT BE AMICABLY RESOLVED BY DIRECT NEGOTIATION OR THROUGH PRE-ARBITRATION MEDIATION, ARISING OUT OF OR RELATING IN ANY WAY TO ANY TRANSACTION WITH UCB, YOUR ACCOUNT, OR ANY SERVICE PROVIDED BY UCB TO YOU. JUDGMENT ON THE AWARD RENDERED BY THE ARBITRATOR MAY BE ENTERED IN ANY COURT HAVING JURISDICTION THEREOF. YOU AND UCB UNDERSTAND THAT BOTH PARTIES WAIVE ANY RIGHT TO A JURY TRIAL. 15. YOU ACKNOWLEDGE AND AGREE THAT REGARDLESS OF ANY STATUTE OR LAW TO THE CONTRARY, ANY CLAIM OR CAUSE OF ACTION YOU MAY HAVE ARISING OUT OF, RELATING TO, OR CONNECTED TO COIN PURCHASES, COIN SALES OR ANY OTHER TRANSACTIONS BETWEEN YOU AND UCB MUST BE FILED WITHIN ONE CALENDAR YEAR AFTER SUCH TRANSACTION OR FOREVER BE BARRED. NOTWITHSTANDING THE IMMEDIATELY PRECEDING SENTENCE, IF THE LAW OF THE APPLICABLE JURISDICTION HAS A “DISCOVERY RULE” WHEREBY ACCRUAL OF SUCH CLAIM IS DEFERRED WHICH IS APPLICABLE TO ONE OR MORE CLAIMS, THEN THE ONE YEAR LIMITATION PERIOD SPECIFIED HEREIN SHALL BEGIN RUNNING FROM THE DATE OF ACCRUAL FOR SUCH CLAIM OR CLAIMS AS DETERMINED BY THE LAW OF THE APPLICABLE JURISDICTION, IT SHALL REMAIN FULLY ENFORCEABLE AS TO ALL OTHER CLAIMS. 16. YOU ACKNOWLEDGE, UNDERSTAND AND ACCEPT THAT UCB’S LIABILITY IN ALL CLAIMS WHETHER THEY SOUND IN TORT, CONTRACT, WARRANTY OR OTHERWISE, SHALL NOT EXCEED THE AMOUNT ACTUALLY PAID BY YOU FOR THE COINS IN DISPUTE LESS THE COINS’ FAIR MARKET VALUE AS OF THE DATE ANY ARBITRATION PROCEEDING IS COMMENCED. UNDER NO CIRCUMSTANCES SHALL UCB BE LIABLE TO YOU FOR INDIRECT, INCIDENTIAL, ADDITIONAL, PUNITIVE, EXEMPLARY OR CONSEQUENTIAL DAMAGES. 17. YOU AND UCB AGREE THAT ALL CLAIMS SHALL BE BROUGHT IN THE PARTY’S INDIVIDUAL CAPACITY AND NOT AS A CLASS MEMBER IN ANY PURPORTED CLASS OR REPRESENTATIVE PROCEEDING. 19. You accept and acknowledge UCB's Disclosures which are included with each Invoice to you and appear on the website. 20. You understand, acknowledge and accept that there is a price differential or “spread” between UCB’s selling price (the “ask price”) and UCB’s buyback price (the “bid price”) for coins UCB needs. UCB’s “bid price” is the price it pays to customers for a coin. UCB’s “ask price” is the price it charges customers for a coin. The spread is calculated by subtracting the bid price from the ask price and then dividing the difference by the ask price. ([Ask – Bid] ÷ Ask). You understand, acknowledge and accept UCB’s current spread on common bullion coins typically ranges from 1% to 5%. UCB’s current spread on the most common date antique coins typically ranges from 10% to 15%. 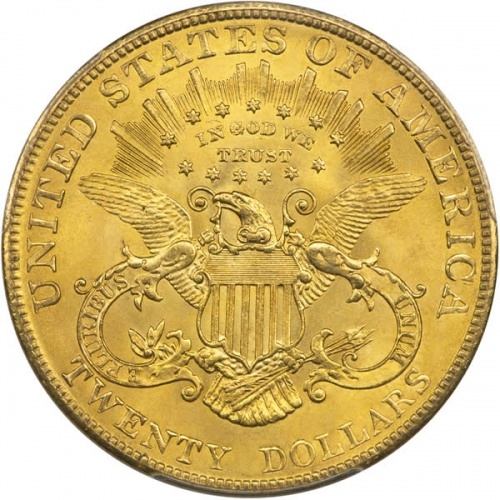 UCB’s current spread on the rarest coins typically ranges from 23% to 28%. 21. You understand and agree that UCB may, in UCB’s discretion, but is not obligated to do so, monitor or record your telephone conversations with UCB for quality control and UCB’s protection. 22. You understand UCB employees may from time to time discuss the general direction of various financial markets, but neither UCB nor its representatives can guarantee or predict any market movement. 23. You understand UCB does not offer advice on the tax treatment of purchasing, selling or trading bullion or rare coins. You understand you must consult with your tax advisor regarding such matters. 25. You authorize representatives from UCB to contact you via phone, text or email to discuss items of interest. 26. Market Loss Policy. When you make a bullion purchase through our online store, you have entered into a binding contract for the purchase at the agreed upon price. If you choose to cancel the transaction or default on payment or if you default on any other act required of you, you agree that you have full responsibility to UCB for any Market Loss plus a $30 cancellation fee. You will also be fully responsible and liable to UCB for any and all fees or costs associated with collecting from you. Any market gain shall belong to the company. All pending or future orders shall be held for shipment until all cancellation fees and Market Loss amounts are fully paid. 29. Bullion and Special Order Cancellation Policy. The 30 day refund policy does not apply to bullion or special orders. 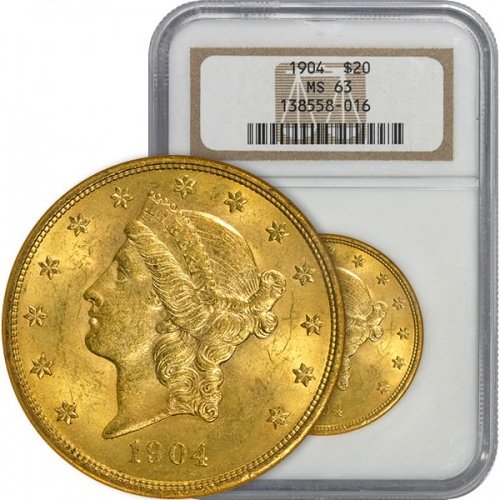 On bullion or special orders, all prices are locked in at the time of purchase on the online store and upon receipt of good funds for phone orders. If you choose to cancel a purchase of bullion or special order products, you must do so by contacting us via phone at (800) 459-2646 during regular business hours. Cancellation of an order cannot be accomplished without speaking to a manager. You may not cancel an order by leaving a message with the answering service or voicemail. All cancelled bullion or special order transactions are subject to our Market Loss Policy plus a $30 cancellation fee. When you speak to the manager regarding the cancellation, any market loss will be calculated and added to the $30 cancellation fee. The cancellation fee and any market loss will be charged to your credit card. Any market gain on cancelled orders shall belong to the company. 31. Force Majeure. If UCB is unable to perform any obligation hereunder as a result of any event beyond its control, UCB’s delay or failure to perform such obligation shall be excused and UCB shall not be liable for any damages as a result of such delay or failure to perform. 32. You shall hold the existence and terms of all your transactions with UCB, including, without limitation, the existence of any disagreement or dispute and the existence and terms of any resolution thereof in the strictest confidence and you shall not disclose or publish on the internet or elsewhere, any such information to any person or entity without written consent of UCB, or an order by a court of competent jurisdiction. If you become aware you may be required to make a disclosure, you shall promptly notify UCB in writing and shall cooperate in good faith with UCB in obtaining a protective order or other appropriate relief, if any, with respect to such disclosure. 34. Amendment. UCB may amend this Agreement at any time by posting the amended terms on the website. Except as otherwise provided in this Agreement, the amended terms will become automatically effective thirty (30) days after their initial posting on the website. You acknowledge and agree that it is your responsibility to review the Website and this Coin Transaction and Website User Agreement periodically, and to be aware of any modifications. Your continued use of this Website and/or your continued use of any services provided by UCB after such modifications will constitute your acknowledgement of the Modified Coin Transaction and Website User Agreement and your agreement to abide and be bound by the Modified Coin Transaction and Website User Agreement. This Agreement may not be otherwise amended except by written agreement between UCB and you. Thank you for accessing our website ("Site") operated by Universal Coin & Bullion, Ltd. ("UCB"). We respect your privacy and want to protect your personal information. By visiting the Site directly or through another site, you accept the practices described in this Policy. As we update and expand our Site and services, this Policy will be amended to protect your privacy. Please check the Site periodically for updates and feel free to contact us at any time with questions or suggestions regarding the Policy. If you have questions or concerns regarding this Policy, please contact us by email at info@universalcoin.com or writing to the following address: Universal Coin & Bullion, 7410 Phelan, Beaumont, Texas 77706. When corresponding with us, please reference your customer number. UCB does not guarantee complete security either online or offline. Upon your request, we will (a) correct or update your personal information; and/or (b) stop sending emails to your email address. You can make these requests at the customer information section of the Site or by calling UCB at (800) 459-2646 or emailing your request to info@universalcoin.com. You understand and agree that UCB may, at UCB’s discretion, but is not obligated to do so, monitor or record your telephone conversations with UCB for quality control and for UCB’s protection. Unless otherwise agreed by UCB in writing, UCB does not consent to the recording of telephone conversations by you or any third party. You understand that not all telephone lines or calls are recorded and UCB does not guarantee that any recordings of any particular telephone calls will be retained or be capable of being retrieved. If you have any comments or questions about our security and privacy statement, please call us at (877) 899-8380 or email our Customer Service Department at info@universalcoin.com. You understand if you are not 100% satisfied with your purchase, you may return it in its original packaging within thirty (30) days of receipt for a full refund except on special orders or bullion orders. 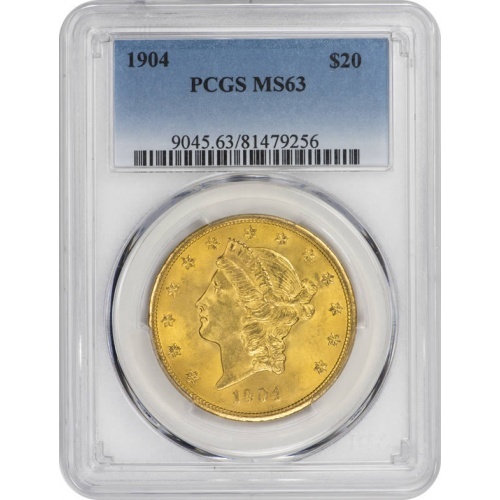 You understand returns of numismatic items outside of the thirty (30) day return privilege may be subject to a restocking fee of up to 20% or repurchase at Universal Coin & Bullion’s buy price at the time of return. You understand and accept Universal Coin & Bullion’s policy that payments for refunds on coins received and confirmed for liquidation will typically be processed in 10-15 business days unless otherwise specified by management in writing. AS USED IN THESE TERMS AND CONDITIONS, THE TERM "YOU" SHALL MEAN ANY VISITOR TO THE SITE AND/OR CUSTOMER OF Universal Coin & Bullion. Universal Coin & Bullion ("UCB") operates this Website (the "Site") to provide online access to information about UCB and its products. By accessing and using this Site, you agree to each of the terms and conditions set forth herein ("Terms and Conditions"). Additional terms and conditions applicable to specific areas of this Site or to particular content or transactions are also posted in particular areas of the Site and, together with these Terms and Conditions, govern your use of those areas, content or transactions. These Terms and Conditions, together with applicable additional terms and conditions, are referred to as this "Agreement". UCB reserves the right to modify this Agreement at any time without giving you prior notice. Your use of the Site following any such modification constitutes your agreement to follow and be bound by the Agreement as modified. The last date these Terms and Conditions were revised is set forth at the bottom of this page. You may use this Site, and the information, writings and images on the Site solely for your non-commercial, personal purposes and/or to learn about UCB products. No right, title or interest in any content is transferred to you, whether as a result of downloading such content or otherwise. UCB reserves complete title and full intellectual property rights in all content. Except as expressly authorized by this Agreement, you may not use, alter, copy, distribute, transmit, or derive another work from any content obtained from the Site except as expressly permitted by these Terms and Conditions. The Site and the content are protected by U.S. copyright laws, and belong to UCB, its licensors, contributors or third parties. The copyrights in the content are owned by UCB or other copyright owners who have authorized their use on the Site. Links on the Site to third party websites or information are provided solely as a convenience to you. If you use these links, you will leave the Site. Such links do not constitute or imply an endorsement, sponsorship, or recommendation by UCB of the third party, the third-party Site, or the information contained therein. UCB is not responsible for the availability of any such Site. UCB is not responsible or liable for any such Site or the content thereon. Prior to linking to this site, you must first obtain UCB’s written permission. Requests to link to the Site should be sent to info@universalcoin.com. Unless specifically authorized by UCB, you may not connect "deep links" to the Site, i.e., create links to this Site that bypass the home page or other parts of the Site. You may not mirror or frame the home page or any other pages of this Site on any other Site or web page. UCB cannot and does not guarantee or warrant that files available for downloading through the Site will be free of infection by software viruses or other harmful computer code, files or programs. UCB MAKES NO EXPRESS OR IMPLIED WARRANTIES, REPRESENTATIONS OR ENDORSEMENTS WHATSOEVER WITH RESPECT TO THE SITE OR THE CONTENT. UCB EXPRESSLY DISCLAIMS ALL WARRANTIES OF ANY KIND, EXPRESS, IMPLIED, STATUTORY OR OTHERWISE, INCLUDING, BUT NOT LIMITED TO, IMPLIED WARRANTIES OF MERCHANTABILITY, FITNESS FOR A PARTICULAR PURPOSE, TITLE AND NON-INFRINGEMENT, WITH REGARD TO THE SITE, THE CONTENT, AND ANY PRODUCT FURNISHED OR TO BE FURNISHED VIA THE SITE OR BY UCB TO YOU AFTER YOU HAVE VIEWED THE SITE. UCB DOES NOT WARRANT THAT THE FUNCTIONS PERFORMED BY THE SITE WILL BE UNINTERRUPTED, TIMELY, SECURE OR ERROR-FREE, OR THAT DEFECTS IN THE SITE WILL BE CORRECTED. UCB DOES NOT WARRANT THE ACCURACY OR COMPLETENESS OF THE CONTENT, OR THAT ANY ERRORS IN THE CONTENT WILL BE CORRECTED. THE SITE AND THE CONTENT ARE PROVIDED ON AN "AS IS" AND "AS AVAILABLE" BASIS. You understand and agree that you are personally responsible for your behavior on this Site. You agree to indemnify, defend and hold harmless UCB, its parent companies, subsidiaries, affiliated companies, joint venturers, business partners, licensors, employees, agents, and any third-party information providers to the service from and against all claims, losses, expenses, damages and costs (including, but not limited to, direct, incidental, consequential, exemplary and indirect damages), and reasonable attorneys' fees, resulting from or arising out of your use, misuse, or inability to use the Site, the service, or the content, or any violation by you of this Agreement. The Site and content are not intended to and do not constitute financial, legal or tax advice. Please seek the advice of professionals as necessary regarding the evaluation of any content on this Site. You should consult with your appropriate legal, financial or tax advisor regarding issues arising from the acquisition or disposition of precious metals, rare coins, rare currency and any financial investment. The information on this Site is not intended as an offer or solicitation for the purchase of any stock, any other security or any financial instrument or to provide any investment service or investment advice in any jurisdiction. You acknowledge that UCB advises and you have the opportunity to perform your own due diligence in deciding the amount and type of your coin transaction and numismatic position. You acknowledge that UCB advises and you have the opportunity to independently verify all representations made via the UCB website, via email, via UCB publications or from UCB representatives. YOU AND UCB AGREE TO ARBITRATE IN A FINAL BINDNG MANNER PURSUANT TO THE FEDERAL ARBITRATION ACT AND ADMINISTERED BY THE AMERICAN ARBITRATION ASSOCIATION IN ACCORDANCE WITH ITS COMMERCIAL ARBITRATION RULES IN JEFFERSON COUNTY, TEXAS ALL CONTROVERSIES BETWEEN YOU AND UCB, IT’S OWNERS, REPRESENTATIVES OR AGENTS THAT CANNOT BE AMICABLY RESOLVED BY DIRECT NEGOTIATION OR THROUGH PRE-ARBITRATION MEDIATION ARISING OUT OF OR RELATING IN ANY WAY TO THESE TERMS AND CONDITIONS OR ANY TRANSACTION WITH UCB, YOUR ACCOUNT, OR ANY SERVICE PROVIDED BY UCB TO YOU. IT IS UNDERSTOOD THAT YOU AND UCB WAIVE ANY RIGHT TO A JURY TRIAL. YOU AND UCB AGREE that all claims shall be brought in your or UCB’s individual capacity and not as a class member in any purported class or representative proceeding. You acknowledge and agree that, regardless of any statute or law to the contrary, any claim or cause of action you may have arising out of, relating to, or connected with your use of the Site, coin purchase, coin sales or any other transactions between you and UCB must be filed within one calendar year after such claim or cause of action arises, or forever be barred. Entire Agreement/No Waiver. These Terms and Conditions constitute the entire agreement of the parties with respect to the subject matter hereof. No waiver by UCB of any breach or default hereunder shall be deemed to be a waiver of any preceding or subsequent breach or default. Correction of Errors and Inaccuracies. The content may contain typographical errors or other errors or inaccuracies and may not be complete or current. UCB therefore reserves the right to correct any errors, inaccuracies or omissions and to change or update the content at any time without prior notice. UCB does not, however, guarantee that any errors, inaccuracies or omissions will be corrected.